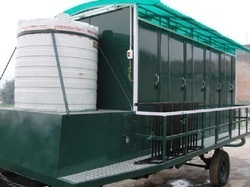 Our product range includes a wide range of frp mobile toilet and frp toilet block. We are the leading FRP toliet block manufacturers in India. These FRP modular toliets are manufactured fromn state of the art technology and high grade raw material. these are readily available in 2-10 toilet blocks with modular fittings. These have the provision for light, mirror, water tank, drainage, indian or western toilet, fan, wash basin, etc. Looking for Life Buoy Ring ?